Established in 1991 as a software house, Automasjon & Data (A+D) is now one of the world’s leading companies for MetOcean or meteorological and oceanographic data systems. The company’s main products range from simple weather stations to advanced complete helideck monitoring systems, vessel motion monitoring systems and environmental monitoring systems for marine and offshore wind users and other demanding applications. Such systems are basically a very sophisticated weather station measuring wind, temperatures, barometric pressure, motions, sea currents, waves, etc., but can also include a number of additional sensors and tailor-made functions that are essential for offshore users. Typical add-on functions include stress monitoring, motion and acceleration measurements, alarm functions, SCADA applications and many others. Offshore MetOcean systems are exposed to the most extreme weather conditions and are not only expected to function in these conditions, but expected to measure accurately, providing correct data in order to document these conditions. All offshore wind turbines, service platforms and vessels need environmental data for daily operational use and as an important tool for safety purposes. In recent years these systems have also been tailor-made to measure the movements and conditions of the helideck and are used as a tool for improving the safety for helicopter traffic. A+D’s software package DADAS has been in use in a large number of MetOcean data systems all over the world since 1992. The DADAS software is basically a general data acquisition package incorporating a very flexible display module, a comprehensive reporting module, alarm modules and the possibility to control smaller processes directly. The company has a lot of valuable experience from many different applications and a large number of special functions have been integrated in the software in order to improve the user interface. Special emphasis has been placed upon making the data displays easily understandable for non-technical users. 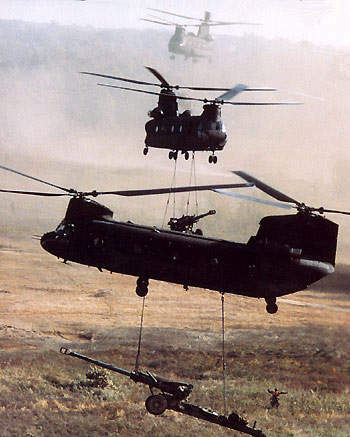 A+D has been involved in developing helideck monitoring systems since these were first introduced. New systems will comply with all known rules and regulations worldwide, including the CAA CAP 437 and the Norwegian standard for HMS systems. Often known as EMS / EMP systems, weather stations or MetOcean systems, environmental monitoring systems are a very important tool for many users onshore and offshore. EMS systems using the well-proven DADAS software from A+D have been in use for more than 18 years and have an excellent track record. A+D has vast experience in selecting, operating and maintaining the best sensors for the tough operational conditions offshore. Only sensors with an excellent track record will be recommended for use in such critical applications. A+D can supply everything from single sensors to complete turnkey systems. A+D has a working QA system compliant with ISO 9001, and all manufacturing and testing is documented thoroughly. The QA system has been audited and approved by a number of third parties, among them Achilles Joint Qualification System and CAA.